19 Jan, 2015 Rakesh Sharma Reviews . There was time when water cooling a PC was considered as extreme and expensive specially in India, where availability of custom water cooling parts were very rear and importing them to India was a great pain. But now there are tens of AIO(All-in-One) closed loop liquid cooling solutions available in India, with easy installation and requires no maintenance at all. 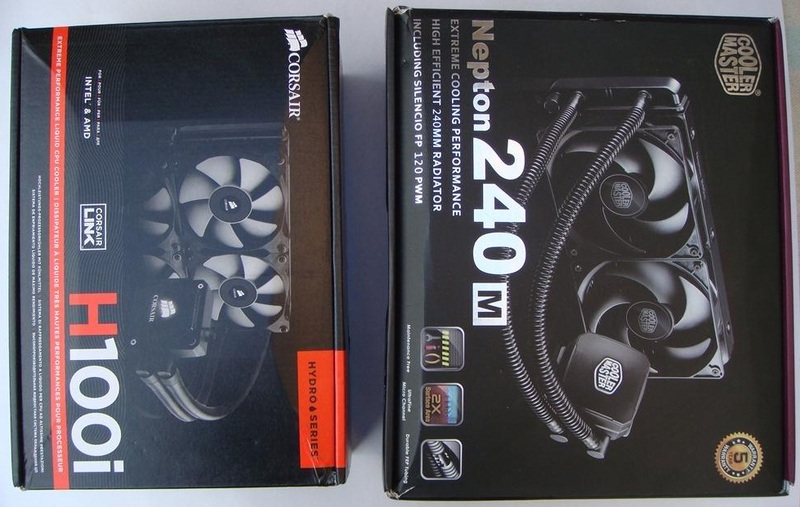 Today we are having a comparison between two of them Corsair H100i and Cooler Master Nepton 240M. Both are having identical physical characteristics, so comparison will be interesting. Entirely self-contained - Hydro Series H100i comes pre-filled, and never needs refilling or priming. Tool-free multiplatform magnetic mounting bracket kit - The modular design makes installation simpler, and it’s compatible with Intel and AMD processors. Large-diameter, low permeability tubing - Minimal coolant evaporation helps ensure long life, and the resilient material offers both high flexibility and excellent leak protection.